Thank you to everyone that participated in the "Fill Flash" assignment. The guidelines for the assignment were to create an image where "flash is used to supplement the ambient light on the subject, or to balance the light on the subject with a brighter background by "filling in" the shadows." I noted that an image that effectively uses fill flash should not look "over-flashed." Congratulations to one of our newest members, Dave Leiker of Emporia, Kansas, who goes by prairiedust. 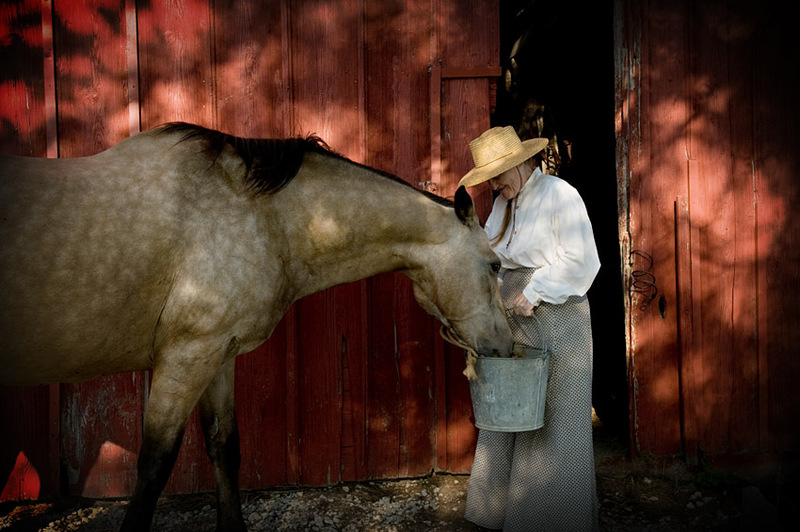 Dave's image of Rosa Fix and Spirit was chosen as People's Choice and Editor's Choice for Artistic and Technical Merit. Thank you to everyone that participated in the "Fill Flash" assignment. I hope that reading my long-winded explanation of fill-flash techniques, experimenting on your own, and seeing the images submitted by other participants helped you in your quest to become a better photographer.